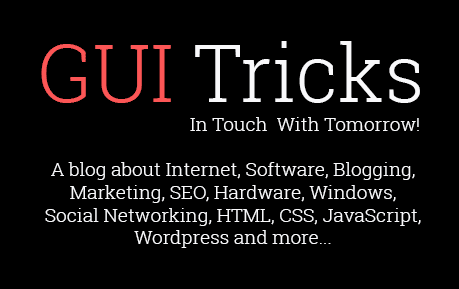 4 Excellent Event Planning Apps For Android | GUI Tricks - In Touch With Tomorrow! 4 Excellent Event Planning Apps For Android - GUI Tricks - In Touch With Tomorrow! Whenever, if we have to plan any event then we take a pen and paper then note down all insights about occasion. But it is the old way. It’s 21st century and now we use smartphones. So for this purpose, why should not use smartphone? Smartphones are the latest invention of today’s era. It has made almost everything possible so that’s why we can make our life easy by using. Smartphones can also be quite helpful while planning any event or occasion. Android users have a benefit to download such apps which can be really helpful while every event that you manage. So if you’re an Android use then must check out my recommended best event planning apps. Don’t forget to give your views about these applications and must share this article, if you find help here. Pocket Planner is a best portable application like as its name. It plays a big role to plan every event that you gonna do. This app makes it truly simple for you to recognize what will be needed for the occasion and how everything will in the function. It’s a very simple and decent app and you can download it free from Google Play Store. You know what, it’s very difficult to arrange a wedding. But this app is especially designed for wedding planners. The app displays everything about your guests, number of guests and visitors, their information and other important data about them that you should know. Similarly, this app also helps to manage your budget and recommends you How to manage financial plan for wedding. So must get this apps from Google Play Store, if you’re an Android user and a wedding planner too. This app, I mean Schedule planner offers to create charts and calendar about your events. You can do everything that you do on a paper same like if you create a chart for planning and you divide it in different categories or whatever you do so that’s all you can also do on your smartphone with Schedule Planner. This app also shows statistics about your every plan and displays a result of your schedule. So that’s an interesting and additional stuff in this app. You can get Schedule planner directly from Google Play Store. So get this one and make any occasion simpler. Super planner is an Android application for all those individuals who are not expert in arranging occasions. So with a single pack, you can manage events and occasions finely. It additionally helps you to ascertain costs for the nourishment and refreshments, so you know the extent to which you'll be using on those things. There are a considerable measure of gimmicks in the application that you can make utilization of to accomplish things. You can get it in $9.99 from Google Play Store. Thanks a ton for this list of best event planning apps. I am getting married pretty soon but I am not interested to hire a planner so these kinds of apps can be very useful for me. Lately I have been finding some suitable Los Angeles venues. I wonder if you can help me in that! Nothing is better than Google. Google knows better and best for you. So search about that on it.